Last week Attorney General Sean Reyes had the chance to kick off Latino Day on the Hill celebrating the diversity, culture, and traditions of Utah’s Latino population. AG Reyes spoke proudly of his heritage and to the power the Latino community holds within the state of Utah, including helping him become the attorney general of the State of Utah. 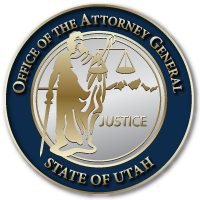 The event was hosted by the Utah Republican Latino Coalition and included, in addition to AG Reyes, U.S. Senator Mike Lee, Utah State Senator Luz Escamilla, Utah State Senator Deidre Henderson, State Rep. Angela Romero, State Rep. Mike McKell, and Viva El Folklore provided entertainment. You can find more coverage of Latino Day on the Hill below. This entry was posted in Recent Posts and last updated on March 5, 2018 .